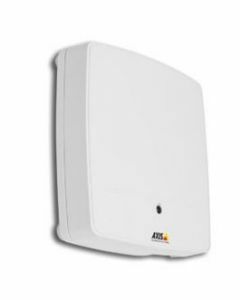 AXIS A1001 Network Door Controller is an open, non-proprietary platform for access management that meets the requirements for advanced enterprise systems as well as smaller installations. AXIS A1001 is open for third-party software, allowing the unit to be integrated with solutions provided by Axis partners. The system is completed with standard IT equipment, readers, door locks and door position sensors that meet the installation requirements. The controller is designed for wall and ceiling mount and plenum rating removes need for extra cabinet when mounted above drop ceiling. The use of Power over Ethernet reduces the need for separate power cables to door accessories and proprietary data cables. The unit’s color coded connectors and the configuration wizard enables fail-safe and effective installations. Open API for integration of video,intrusion detection and other systems. Support for most reader types. Support for hosted access services (Access Control as a Service). Configurable input/output ports and controllable high power outputs for connection of external equipment. Support for Uninterruptible Power Supply (UPS) enables power to be maintained in the event of a power outage and eliminates the need for battery back-up at each door. Built-in web based software for basic access management.